In the newest development involving Carlos Ghosn, the Nissan board has unanimously decided to dismiss him as Chairman of the company. Greg Kelly, another senior executive, also also been let go. The Nissan board says it came to this decision to minimise the potential impact and confusion on the day-to-day cooperation among the Alliance partners. 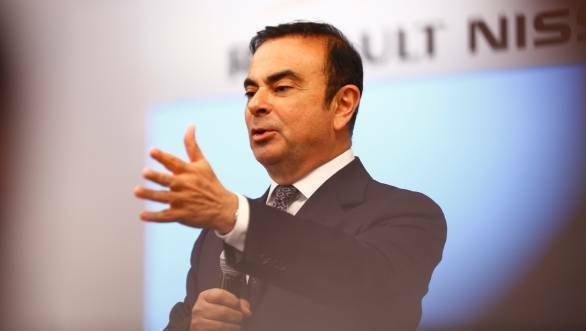 Ghosn was arrested by the Tokyo police recently over accusations made by Nissan. The Japanese car-maker says Ghosn under-reported his salary and used company assets for personal use. A whistleblower provided this information to the company and had been conducting internal investigations for months. Kelly is accused of helping Ghosn in his wrongdoings. Carlos Ghosn could be sentenced to 10 years in prison or this or pay a JPY 10 million fine or both. The other members of the Renault-Nissan-Mitsubishi alliance have reacted differently. Renault has decided to appoint temporary deputy chief executive to take over the running of the firm while Mitsubishi will meet next week to consider their reacting to this situation. Carlos Ghosn is a French citizen born in Brazil but of Lebanese descent. He is credited with being responsible for forming the Renault-Nissan Alliance and for taking strong measures to help turn around Renault. Reports suggest he was now looking to merge Renault and Nissan to strengthen the partnership. The companies are presently connected via an unequal shareholding pattern.